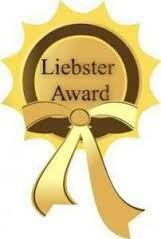 I was really touched to receive a nomination for the ‘Liebster Award’ – thank you to Julie at Julie’s Spoonful of Sugar. I’m sorry it’s taken me so long to accept – lots has happened over the past month – including starting Humira which didn’t go entirely to plan. I’ll go into all of this in another post. Good question, I’d have to be a dolphin! The first (and only car I’ve ever owned) is a Ford (I think it’s a Focus)!! It’s purely functional and it’s with my mother now in my home town as I can get everywhere easily with public transport in London (especially if I get a seat). Learning the ukulele. I’ve only had one lesson so far but loved it. Playing it distracted me from having swollen and painful wrists. What are your top three favorite hobbies or activities? 1) seeing art, whether in a formal exhibition or street art 2) going to concerts & gigs 3) going for coffee & cake with friends. When I have more energy I’d like to branch out and do more! What is the color scheme in your living room? Unfortunately it’s white, as we rent rather than own the flat, but I’ve livened it up with paintings including a Tuscan scene with warm tones. Do you consider yourself an auditory, visual, or kinisthetic learner? I think I’m an auditory learner, as I love trying to learn new languages and musical instruments, as well as being fascinated by words and new facts (although I’m passionate about the visual arts too). What one event has most influenced your life? Volunteering at a kids’ club in the local Women’s Refuge when I was 15, especially dressing up as Father Christmas as no men were allowed in the building and no one else wanted to do it. As a result, realising I wanted to keep trying to ‘make a difference’ in the world, which sounds corny, but it’s true. Do you prefer salty or sweet snacks? I have a sweet tooth so would always go for those snacks first. What random act of kindness by someone took you most by surprise? That’s a really hard question to answer! There have been quite a few – a recent one that stands out is when a complete stranger found me in distress (having bronchospasms due to a reaction to a drug) near a hospital canteen, then accompanied me to the emergency waiting room, and stayed with me until I was seen by a doctor. It was so kind of her. What advice would you give to someone with a new diagnosis? How would you friends and/or family describe you? If you could wear an invisible cloak for the day, what would you do?! If you could star in a film, which one would you pick? What is the most outrageous outfit that you have ever worn (to a fancy dress party or any other time!). That’s it – thank you again Julie from Julie’s Spoonful of Sugar for the nomination 🙂 and thanks to anyone who has ever read or commented on this blog. After a tough month, I’m ready to get stuck into blogging again. The fashonistas’ ‘joie de vivre’ shone through and it was an incredibly feel-good film. So feel-good that I’ve watched it again, as their energy and enthusiasm for life is inspirational. It’s been a tough few weeks as I’m still in limbo, waiting to start anti-TNF treatment for rheumatoid arthritis (Humira), so I need all the positivity I can get! I’m hopeful that once I find the right drug for me (hopefully this one), I’ll be able to embrace as many challenges as possible – starting with a 5k run.